No More Leaks Under High Vacuum! 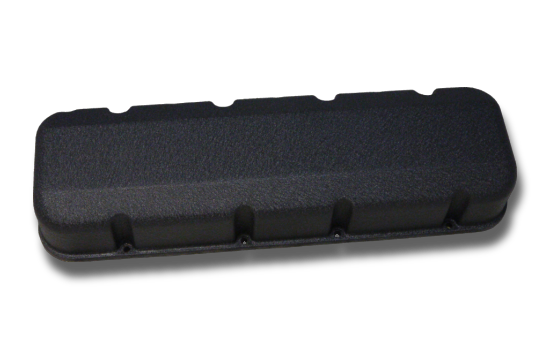 Pro-Filer Cast Aluminum Valve Covers are a light weight (4.5lbs ea.) alternative to fabricated units. Designed to provide strength for flatness and sealing ability, resulting in less air leakage and higher crankcase vacuum. Our valve covers are cast using the same high quality methods and materials as our cylinder heads and intake manifolds. 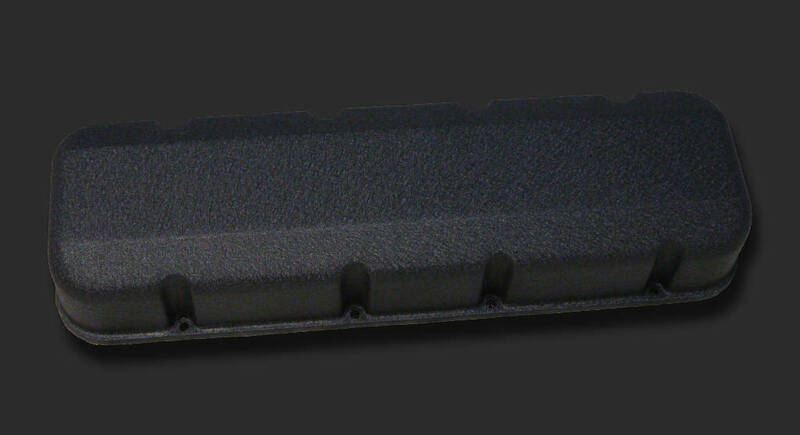 All Valve Covers include Black Powder Coating. Designed to fit standard bolt pattern BBC with Jesel or T&D Shaft Rockers but they are not designed to clear stud girdles. Casting is thick enough to tap for Vacuum Pump Fittings and other accessories. Combine them with the Pro-Filer Hitman Cylinder Heads and matching Hitman Intake Manifold and you are ready to race in style.